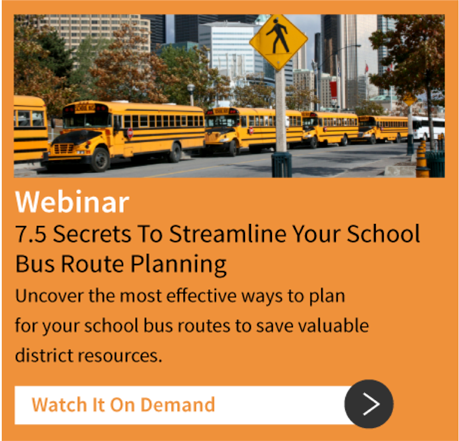 School bus routing is a layered and complex tapestry of managing student security risks, stop locations, busload requirements, ride times and travel restrictions. Every factor of routing and scheduling impacts efficiency, budgeting and the satisfaction levels of parents and school district personnel. With BusBoss Benchmarks, you no longer need to waste time manually weaving together the functions and factors of your school bus management. Our transportation management solutions are fueled by a diagnostic methodology that allows you to easily identify the strengths and weaknesses of your transportation department. BusBoss Benchmarks takes a measurable approach to bus route optimization on a recurring basis by showing you exactly where you are against your current and future goals. 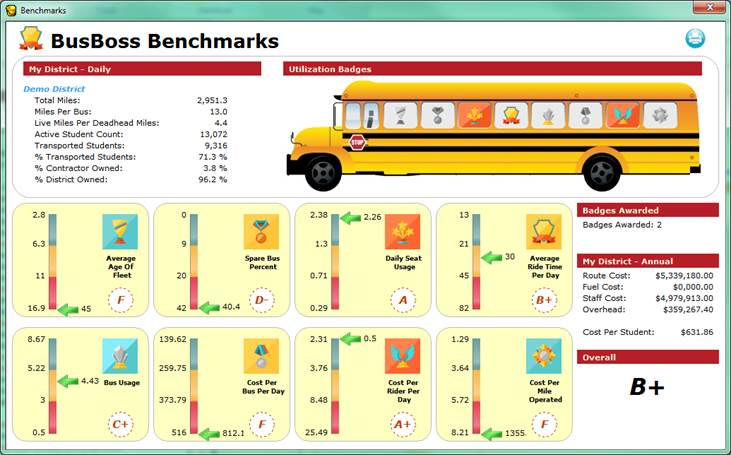 BusBoss Benchmarks is a proven solution for school bus management. By taking a systematic approach to metrics, we help you streamline your school bus routing to fully address the concerns and swiftly meet the goals set forth by your school district.